It is often recommended that during the last half of pregnancy, 200-300 additional calories be added daily and breastfeeding mothers increase that by 200-300 calories more. This recommendation is based upon the estimated amount of calories during pregnancy remains unchallenged, recent studies suggest that the number of calories needed by breastfeeding women is less than previously believed. Breastfeeding mothers should strive for a calorie intake of 2000-2200 calories per day. 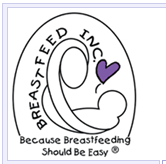 Protein and calcium, two requirements for which there is increased need during lactation, should be emphasized. 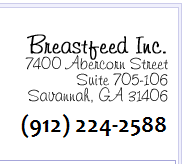 The chart included at the end of this information will show quantities and types of foods suggested in the daily diet of the breastfeeding mother. It is important that the breastfeeding mother drink to satisfy her thirst. Fluids can include water, fruit juices, vegetable juices, milk and soup. It is a good idea for the mother to get into the habit of drinking during each nursing. When the mother is drinking enough, her urine will be clear to pale yellow. Prenatal vitamins prescribed during pregnancy can be continued during breastfeeding. If mother is taking an iron supplement, it will be utilized more completely if taken with a citrus fruit or juice.